As a part of a global network to combat the Ug99 race of wheat stem rust, the International Maize and Wheat Improvement Center (CIMMYT), in collaboration with Cornell University and the Kenya Agricultural and Livestock Research Organization (KALRO), established a stem rust phenotyping platform in Njoro, Kenya in 2008. Under the aegis of the Durable Rust Resistance in Wheat (DRRW) project and with support from the Bill & Melinda Gates Foundation, the platform evaluates the resistance of germplasm against Ug99 from 25 to 30 countries around the world. 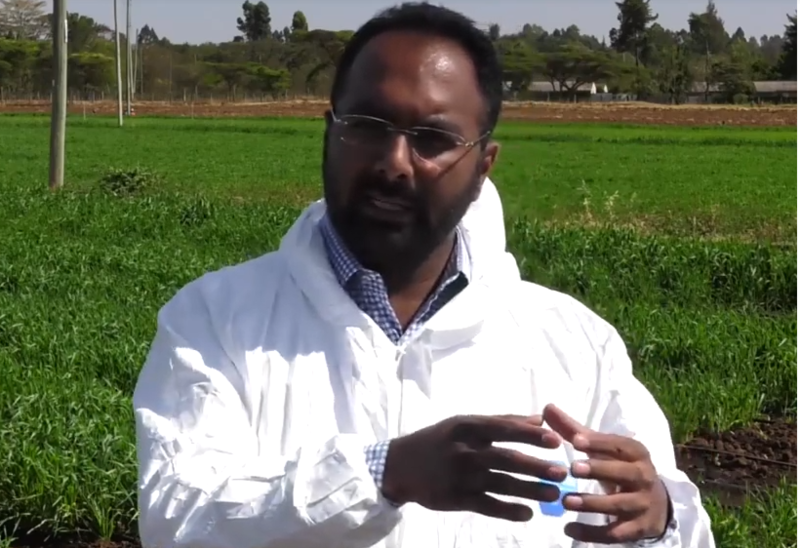 Mandeep Randhawa — a wheat breeder and geneticist — joined CIMMYT’s Global Wheat Program in 2015 and took responsibility as manager of the Njoro wheat stem rust phenotyping platform in 2017. 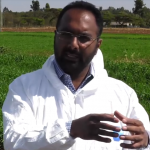 In the following Q&A — based on an interview with Chris Knight of Cornell University’s Borlaug Global Rust Initiative — Mandeep talks about his role and his thoughts on global wheat production and the fight against Ug99. Q: Could you describe the significance of the work that goes on here to global wheat production and global food security with respect to wheat? A: CIMMYT has a global mandate to serve developing countries in terms of developing new wheat and maize varieties. Under the CIMMYT-Kenya shuttle breeding program, seed of about 2000 varieties are imported and evaluated against stem rust races for two seasons in Njoro, and spikes from resistant plants of each cross are selected, harvested and threshed together. Then, seed from each cross is shipped back to Obregon [the Campo Experimental Norman E. Borlaug in Obregon, Mexico]. In Obregon, CIMMYT selects for resistance against leaf rust and stem rust diseases using the local rust races. Plants are selected in Obregon and about 90,000 to 100,000 small plots are grown in other testing sites in Mexico where another round of selections are made. Ten percent of the total lines undergo first year yield trials in Obregon, and are tested for stem rust resistance here in Kenya for two seasons. After combining data from the various test sites with the stem rust score from Kenya, the top performing lines (about 10%) undergo second year yield tests in Obregon. These high-yielding lines are distributed internationally to our national partners, and are available to the public for use in breeding program for release as potential varieties. I believe that it is helpful to develop new varieties with higher yield to benefit mankind. Q: Twenty years have now passed since Ug99 was first identified. One way to frame the story is how high the stakes were at the time. If we didn’t have this screening platform, if we hadn’t come together around trying to fight Ug99, what would have happened to global wheat production? This is a good question. We have done so much for the last 10 years using this platform. We are developing high-yielding lines that are rust resistant, which are benefiting not only the world’s wheat community, but will eventually benefit the farmer and help raise global wheat production. 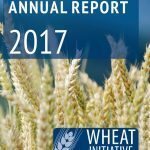 If we had not acted at the right time, we would not be able to know the effect of these emerging races and how they’re evolving and affecting the world of our wheat. If we didn’t have proper surveillance on rusts, we wouldn’t be able to know what types of stem rust races are evolving. If we did not have this platform, we would see wheat varieties simply killed by stem rust and we wouldn’t have enough resources to tackle it today. Now we are at a place where several Ug99-resistant genes have been identified – they are very useful in the breeding programs. There are two types of resistance. One is race specific resistance and another is race non-specific resistance. If you deploy race specific resistance, there is always the fear that these genes will be rendered ineffective because of the evolution of new races. It has been seen in East Africa with the wheat varieties Robin and Digelu that were rendered susceptible with the emergence of virulent strains of wheat stem rust pathogen. To avoid sudden breakdown of resistance, we at CIMMYT are working to identify, characterize and combine race non-specific type of rust resistance sources. Race non-specific resistance is considered more durable. At least four to five genes need to be combined in one cultivar to have a stronger immunity or resistance. Q: Let’s talk a little bit about the future. We’ve made a lot of progress, we’ve developed this platform, we brought a community of more than 25 countries together to work on this problem. What do we need to do in the next 20 years? Stem rust was considered a disease prevalent in warmer environments, but now we can see that races have also evolved in Europe, which means that stem rust is adapting to cooler climates. In the near future, or in the next 20 years, I think we have to continue testing wheat germplasm at this platform to develop high-yielding rust resistant varieties that can be released in different countries, which will be helpful to the global wheat community. And globally speaking, it will be helpful to increase our wheat production. Q: That’s really exciting. Thinking about the number of wheat lines that are screened here, how many wheat lines are screened here every year, and how many countries do we serve? When the platform initially formed, my predecessors struggled a lot. It was very hard to plant wheat here. Now we have progressed in the last ten years to reach a level that we can test about 25,000 lines in one season. We have two seasons here in Kenya: one is the off-season starting from January to April/May, and then the main season starts from June and goes to the end of October. During these two seasons, about 50,000 lines per year can be tested at this platform. About 25 to 30 countries are benefitting by testing their germplasm here. Q: We not only need to cultivate the wheat, we need to cultivate the next generation of scientists. So can you talk about the trainings that are run here on a regular basis? People from all over the world come here to learn about rust pathology and wheat breeding, right? In the last 10 years, we have been implementing capacity building where young scientists are coming to attend a stem rust training course every year, in September and October. Every year we train about 20 to 30 young scientists from national programs in East Africa, South Asia, the Middle East and South America. Every year Dr. Bob McIntosh — he’s a living legend, an encyclopedia of rust resistance – comes over to Njoro to give field demonstrations, teach new technologies, how we can work together, how you can evaluate rust in the field and in the greenhouse. And in addition, a team of scientists from CIMMYT, ICARDA and Cornell University have been coming to provide lectures on genetics and breeding for rust resistance and rust surveys every year for the last 10 years. We have trained more than 200 scientists. Q: Do you have a final word of motivation for all of the collaborators around the world who are supporting and helping together to achieve these goals? We have seen in the last two decades of work here that rust never sleeps, as Dr. Norman Borlaug said. It continues to evolve, and the different races keep on moving around and tend to survive on wheat without any resistance. Not only in east Africa: you can see the stem rust is already in Europe – in Sicily, in Germany and the UK. And there is a risk to South Asia as well, as the wind is blowing toward the bread wheat producing area there. If stem rust reaches there, it can cause a huge loss to global wheat production. So, I request that countries’ national agriculture research systems contact us: me or Ruth Wanyera, the wheat rust pathologist in KALRO if they want to test or evaluate their material at this platform. We are more than happy to evaluate the germplasm from any country. 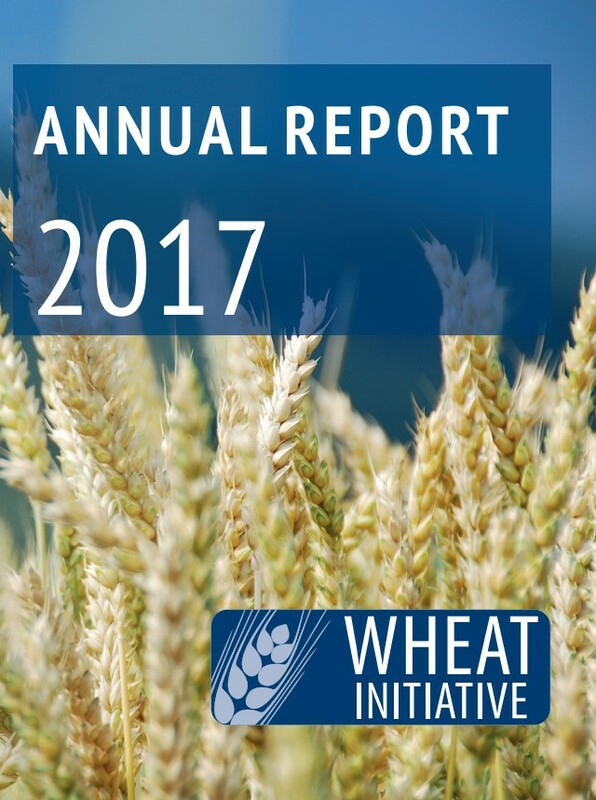 WHEAT Annual Report 2014 about to be published (October) – please watch this space!